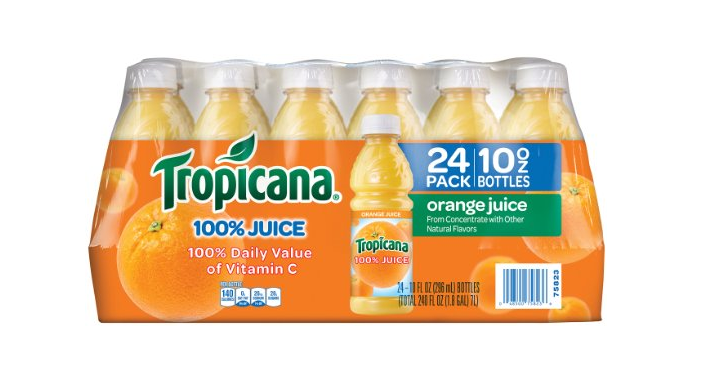 Tropicana Orange Juice, 10 Ounce (Pack of 24) Only $12.82 Shipped! These are so nice to have for lunches or for a quick drink on the go! Amazon has the Tropicana Orange Juice, 10 Ounce (Pack of 24) for only $12.82 shipped when you use subscribe and save! That’s only $0.53 each. Keep in mind, Amazon pricing can change at any time! Don’t wait to purchase this deal or it might be gone when you come back!